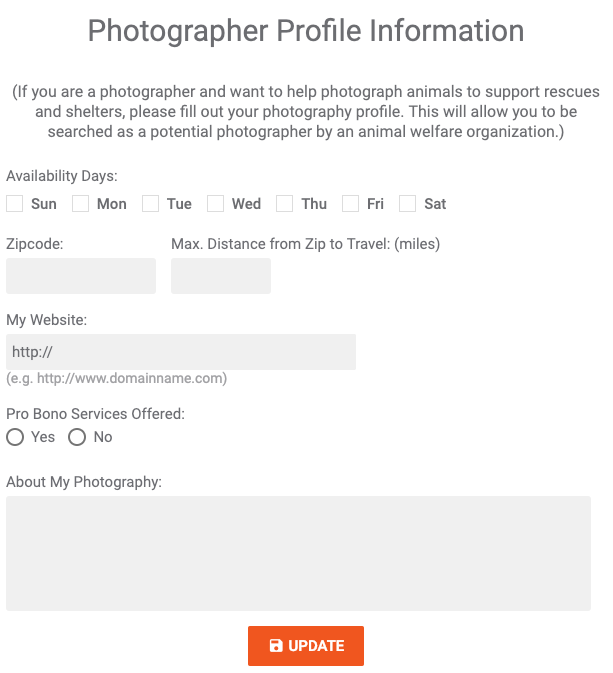 Saving lives with photography is easier than ever with Doobert! From MY DASHBOARD, select PROFILE, then select PHOTOGRAPHER. Enter the days your available, your zip code and the distance you are willing to travel. You can even enter your website, if you offer Pro Bono services and you can add a little personal message as well! 3. If you have BOTH a rescue relay transporter and photography profile set up, you’ll now have a choice in how you want to participate! When you receive an email notification for a rescue relay transport, you’ll now have a choice in how you want to participate – as a Driver or a Photographer! 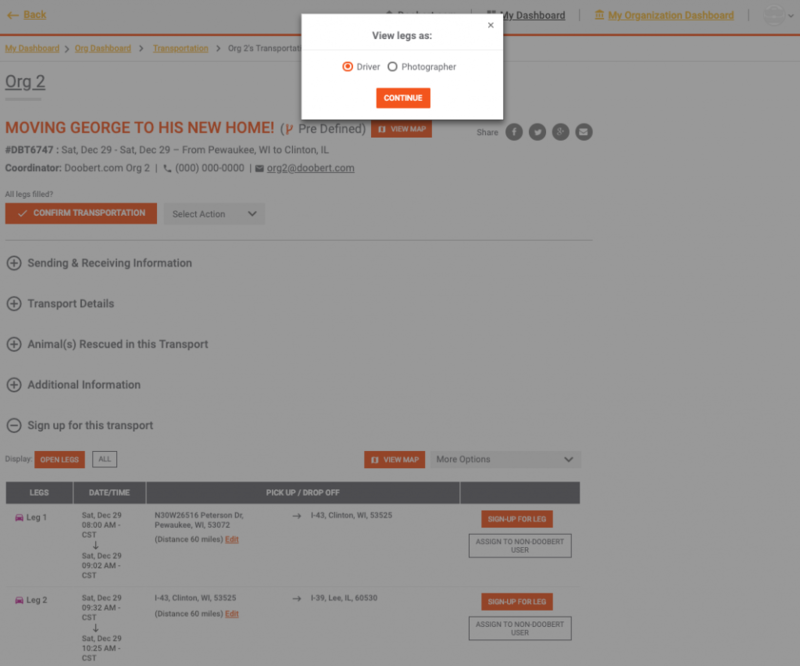 Click the unique transport link provided in the communication you received from Doobert and you’ll be asked how you want to participate.